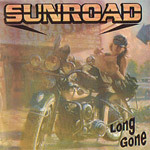 Hardly an international household name, Sunroad hails from Brazil, and Long Gone is their fifth album since beginning in the late Nineties. Melodic hard rock ala the 1980's, with a Christian message, is on the agenda throughout this work. Generally, the music is solid, if not ordinary, stuff. But the Gospel message is more than a little watered down, leaning more to existential experience and less towards outright proclamation. Whatever. That's basically the norm these days for Christian music. Perhaps the best thing for the listener to do is to consider each song on it's own merits, not that I want to take the time. I think I'd bore you. We Still Believe and Looking for a Trace are highlights. Fast for Me or Feedback are, well, examples of the mundane. Even so within boring and derivitive are some sterling moments. And maybe that's the operative word here. Long Gone is a platter of 'moments' with the best found in various bits and pieces within each song. Certainly, strong currents run throughout, mostly in the fine bass work and fiery lead guitar solos. Conversely, Jordan Faria's vocals are grating and burdensome throughout. I think he can really sing, but he spends too much time trying to be a rock screamer. Frankly, on most songs, he puts me off. While other things stack against Sunroad's latest, the mix and overall production could have been better, there is genuine passion and energy within Long Gone. But even so, there wasn't enough here to make me want to listen a second time. The songs were just not up to the task. I barely made it through the first time. Cool cover art work though! There is genuine passion and energy within Sunroad's Long Gone. But even so, there wasn't enough here to make me want to listen a second time. The songs were just not up to the task.